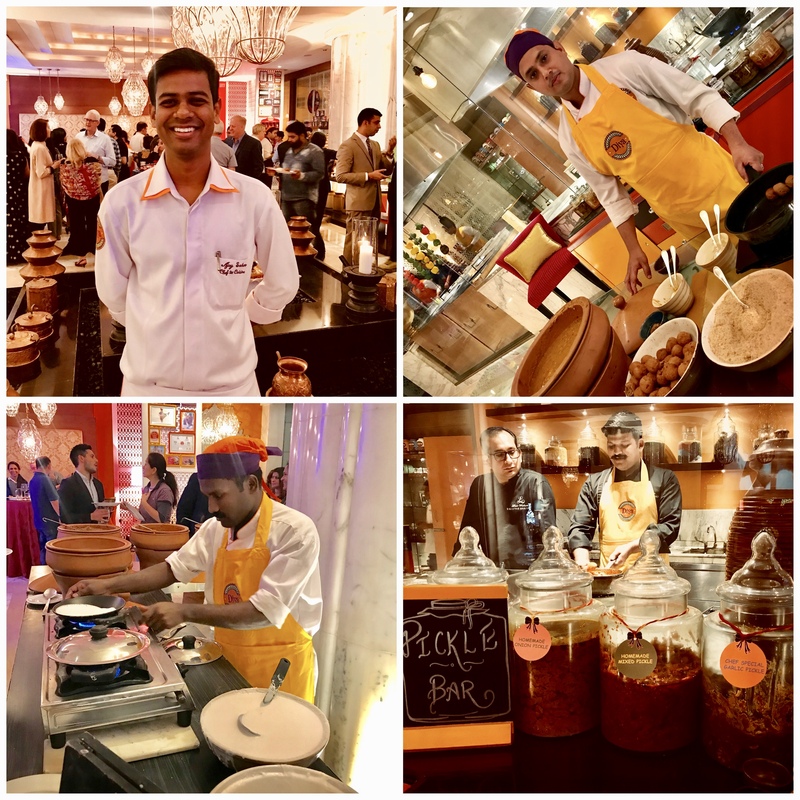 Home › Food › Diya-Simply INdiya at The Leela Ambience Gurugram impresses with its makeover and a brand new menu. 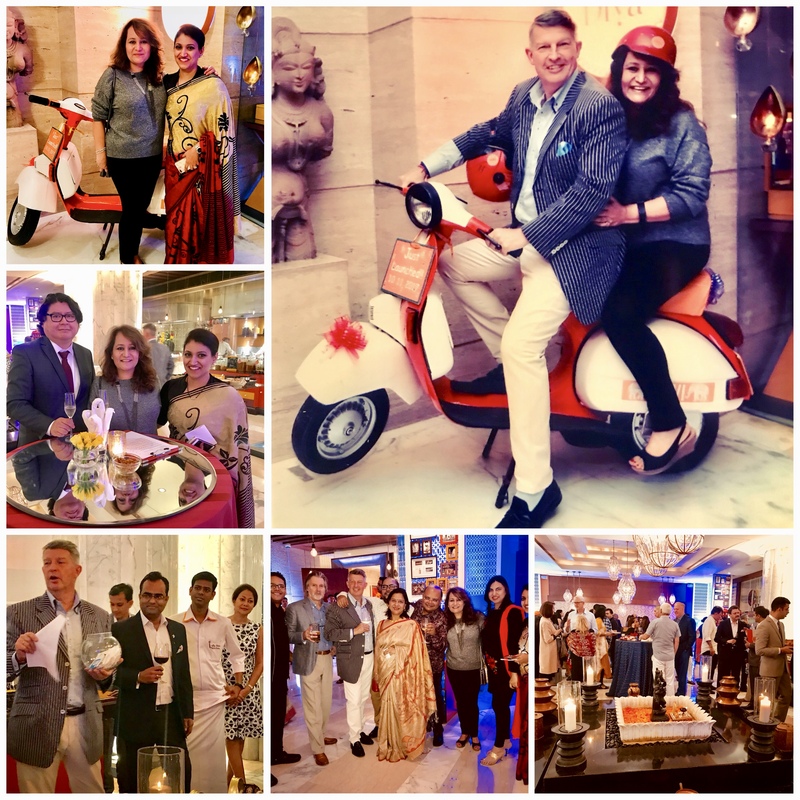 When you have a cool and charismatic General Manager like Michel Koopman at the helm, expect nothing but the best, and this is what the launch party of Diya-Simply INdiya, the Indian speciality restaurant at the The Leela Ambience Gurugram was. Simply the best. 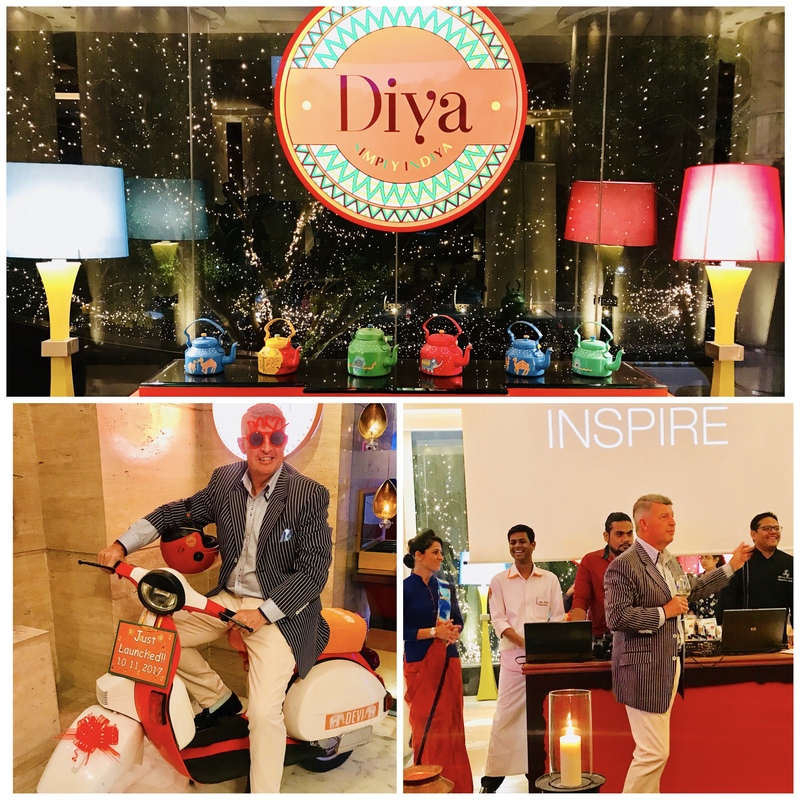 Michel Koopman at the launch party of Diya-Simply INdiya, with his team of Indian Master Chef Ajay Sahoo, Executive Chef Neeraj Rawoot and Restaurant Manager Ishita Negi. Fun, funky and classy, much like the decor of the restaurant, it was a thoroughly enjoyable evening right from the time one was ushered in by the charming restaurant manager Ishita Negi, till one left. Throw in some unbeatable hospitality that has become the hallmark of Team Leela Ambience Gurugram, and a simple launch event became truly memorable. With so many people winning prizes at the lucky draw yesterday, including yours truly, it felt like Christmas. Diya has been around ever since Leela Ambience opened its doors in Gurgaon in 2009. It was the first restaurant to begin operations even before Spectra, their popular all-day dining venue. But Michel Koopman was not content with Diya being just an Indian restaurant in a 5-star hotel. He wanted to create something special. So without shutting down operations, he along with Executive Chef Neeraj Rawoot, experimented with different menus, new look and countless food trials with various chefs, before hitting upon the perfect mix. The most important link in the chain was finding the immensely talented Ajay Sahoo to head the kitchen. Talk to Chef Sahoo for two minutes and you will realize how passionate this down-to-earth gentleman, with 14 years of experience in Indian cooking, is about his signature dishes which he has introduced in the new menu of Diya. You just have to try Kosha Mangsho (Bengali Mutton Curry), Kozhi Chettinadu (Chettinad Chicken), Misa Macch Poora (Grilled Shrimp from Mizoram) Litti Choka (a simple rustic dish from Bihar perfected by Executive Chef Neeraj Rawoot) to discover how these regional dishes, from differents parts of India, can taste so sublime. Among several new features at Diya-Simply INdiya (very creative play on the word India) is the glass enclosed PDR “Maharaja Room”that can seat up to twelve people; the show kitchen; a ‘pickle bar’ with a wide variety of pickles from drumstick to grape; traditional beverages like Solkadhi, and a “chaat counter’ serving the healthiest bhel made from sweet potato and various grains. 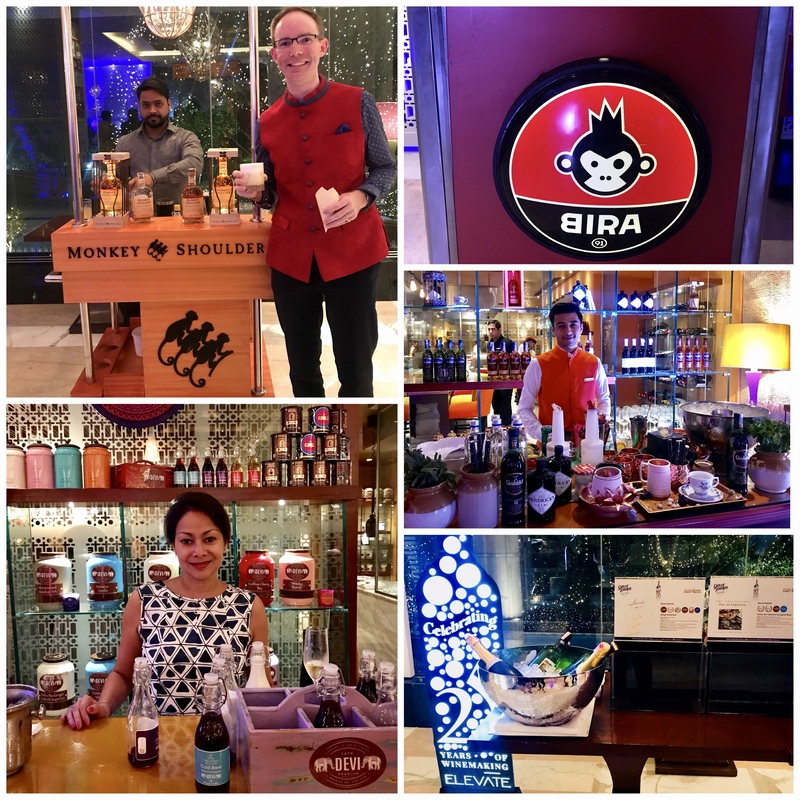 At the launch party Michel Koopman spoke of the invaluable contribution of Diya’s exclusive partners, Grover Wines, Bira, Monkey Shoulder, Glenfiddich, Hendrick’s Gin, Amrut Whiskey, Crop Connect, Devi Coffee, Anandini Himalaya Tea and Veen Water. What I loved about Diya apart from the wide range of delicious dishes from every state of India, making it truly pan-Indian, was the informal ambience which made the dining experience so much fun. Congratulations to the proud General Manager and his team for creating a wonderful dining venue showcasing Indian cuisine and taking the guests through a culinary journey across India. ‹ Why Liber Pater Bordeaux Wines Are So Expensive ?